If you have an Instagram, there’s no doubt that you’ve seen the powers of Clean Eating Alice. Alice Liveing is a health and wellness guru (and a best-selling author to boot!) who offers tips and tricks you can put to use no matter what your fitness level is. Here she shares her top advice for our Byrdie UK readers. It’s been a busy few months for me, between the publication of my third book, Everyday Fitness, and my big move to Third Space, where I will now be a personal trainer. That said, I’ve still managed to gather some of my favourite healthy tips and tricks to share with you this month, and with summer just around the corner, I hope you’ll be able to put some of these nuggets of information to good use. Berry Blast: Add 300 millilitres almond milk, one scoop of vanilla whey protein (vegan protein can also be used), half a frozen banana chopped into chunks, 100 grams frozen raspberries and around five to six ice cubes. Mochacino: Add 300 millilitres almond milk, one scoop of chocolate whey protein (vegan protein can also be used), 1 teaspoon peanut butter, 1 scoop of oats, 8 ice cubes and a splash of cold water. With summer just around the corner, many people will be feeling a little extra motivation to get moving and incorporate more exercise into their lifestyle. With that in mind, it’s important that you’re getting bang for your buck in your gym sessions to ensure that you see results from your hard work. Try to focus your sessions around key compound exercises (those that work multiple muscle groups and joints): Think squats, deadlifts, presses and pulls that will not only help to build strength but will also produce more energy output than smaller more isolated exercises. Of course, these more focused exercises are needed, too, but if you’re pushed for time, and with a holiday only a few weeks away, this would be my best advice. 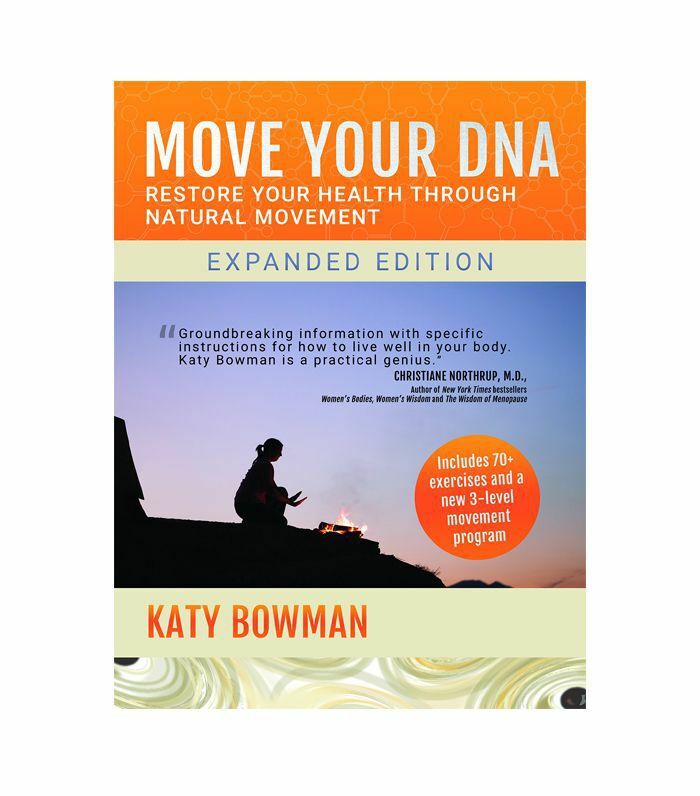 I am currently really enjoying a book called Move Your DNA by Katy Bowman. This book is a must-read for anyone interested in movement beyond what you do in the gym, and it has really opened my eyes to a different way of approaching my training. Bowman talks about our lack of movement in modern society and why we need to embrace more types of movement beyond just an hour’s exercise at the gym. It’s really fascinating to learn about how our previous ancestors moved and how our bodies have adapted to our more sedentary lifestyles. This month, I’ve been totally inspired by my good friend and all-around girl boss Shona Vertue. 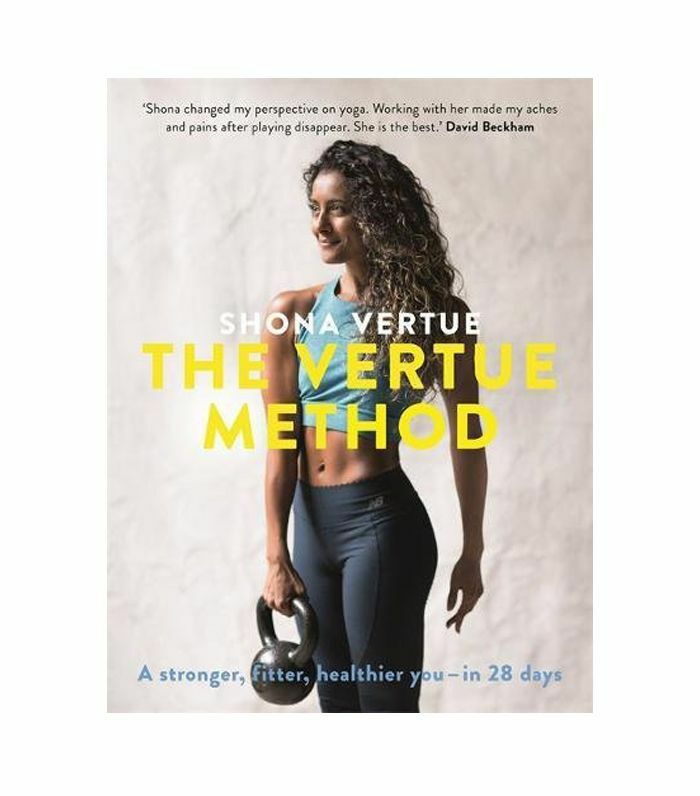 Not only has she just published the most inspiring and beautiful book, The Vertue Method, but she also continues to separate fact from fiction on her social media in a digestible way (@shona_vertue) and gives me constant motivation to move more and move well. Shona is a must-follow if you want something equivalent to an internet big sister, and her sense of calm and confidence in her own skin is not only uplifting and inspiring, but it’s also a breath of fresh air on social media. And to leave you with some words of wisdom to hopefully give you a little mindfulness, I like to share my favourite quote or saying of the month. I’ve recently moved jobs and found my new commute to be an interesting journey. The journey to work can be a stressful environment, especially in London, where tubes and buses become increasingly packed, and, with recent events, can also be a slightly hostile place. With that in mind, I’ve made it my mission to try and smile at strangers and just spread a little extra kindness each morning. You never know how simply smiling at someone can change someone’s entire day. Kindness is more than deeds. It is an attitude, an expression, a look, a touch. It is anything that lifts another person. I hope you’ve enjoyed this month’s instalment, and be sure to leave any feedback and check out my social media for more regular updates. Next up, the number one secret to getting better results at the gym.